Welcome – We have moved and changed! 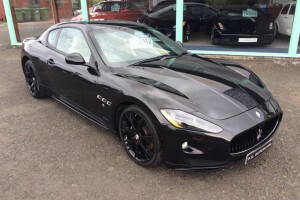 PK Supercars is primarily Supercar Sales and Discrete Storage in a new East Lothian location. Car Storage currently available. Collection Service at Park and Ride/Train Station/ Car Park if collecting at your home or work place is not convenient. 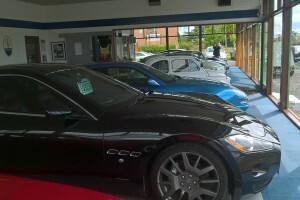 This is a service we are offering as there is no public access to our new unit for Supercar Storage and Sales. Site visits to see our new storage unit can be arranged by prior arrangement at South Elphinstone Farm, Elphinstone Village, Near Tranent EH332NB. This is a fabulous Maserati! Silver/grey leather interior. Heated memory seats. Trident embroidered headrests. 15,000 miles and Maserati Warranty. Call Phil for details 07951 267223. £54950. Black GranTourismo with black leather interior. Recent service by PK Supercars (Dec 17). 46500 miles. £59,995. 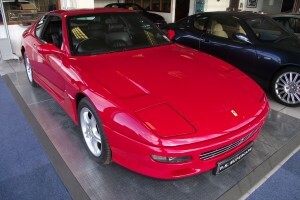 Stunning Ferrari 456 for Sale. Built in 1994 with only 30681 miles. Right Hand Drive. Stored by PK for nearly 8 years. MOT until 9th October 2018 and a major belt service included in the sale. Porsche 997- Now unavailable. Owner keeping it! 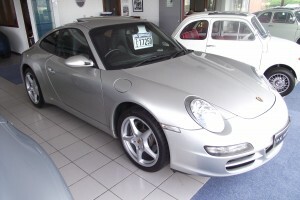 £17250 997 Carrera 2 Tiptronic 2005. Full Service History. Excellent Car. E-mail garage@pksupercars.com 07951 467223 for Phil.